Joe Scarnici / Getty Images for Best EventsSorry, Wall Street. Tesla CEO Elon Musk said on Tuesday on Twitter that he’s arranged financing to take Tesla private. Musk has clearly been thinking about a deal since at least 2017, when he told Rolling Stone’s Neil Strauss that Tesla would be in a better position as a private company. Taking Tesla private would immediately end the Wall Street debate about whether Tesla will raise additional public equity capital in 2018 or 2019. Seemingly innocuous comments can sometimes mean a lot. 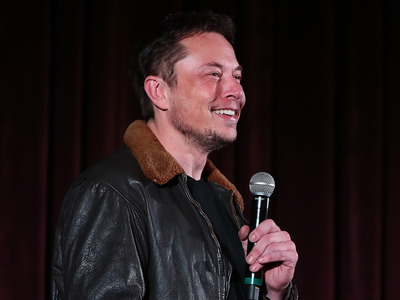 Elon Musk blew Wall Street’s collective mind on Tuesday when he tweeted that he might take Tesla private, at $US420 per share, roughly a $US70 premium on where the company has been trading in the aftermath of second-quarter earnings. Tesla didn’t comment on whether the tweet from Musk’s verified account was legitimate, although Musk himself later followed-up with some details and Tesla published an email to the company from Musk. And predictably enough Twitter leaped to the 4/20 pot-smoking references. Musk’s tweet came on the heels of the Financial Times reporting a $US2-billion stake from the sovereign wealth fund of Saudi Arabia. A buyout would be a big bite – $US420 a share yields a market capitalisation of over $US70 billion for Tesla, and a total value of $US82 billion if you factor in debt – but then again Tesla’s board recently approved a pay package for Musk that predicts a $US650-billion market cap in ten years. The figure would also reflect some of the more bullish price targets coming from investment-bank analysts. Musk owns about 20% of Tesla, and he says he isn’t selling, so the deal would require $US50 billion to buy out the remaining equity. Wall Street might be reeling, but taking Tesla private has clearly been on Musk’s mind for a while. The most telling quote, for the financial community, from Neil Strauss’ Rolling Stone profile last year had nothing to do with Musk’s romantic life (he asked Strauss for dating advice). A possible merger with SpaceX is evidently off the table. The inefficiency that Musk lamented has been on vivid display for all of 2018, as Tesla’s existence has been fought over by long-term investors and short-sellers. Of late, the longs have been winning. Shares were up over 15% before Musk touched Twitter on Tuesday. They shot up another 7% on the news, heading toward last year’s all-time highs, before trading was halted, but they closed the trading day at about $US380, up 11%. 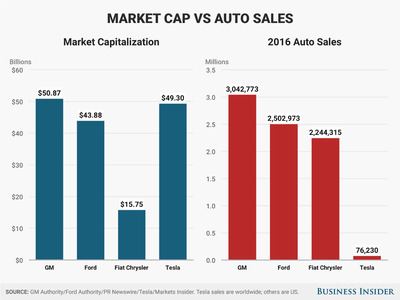 Capital efficiency has been externally imposed on Tesla in 2018. The company laid off 9% of its workforce, submitted any spending more than a million for Musk’s approval, refused to sell shares or debt to raise additional money, and cut its cash burn in the second quarter. But the next few years are likely to see increased capital demands. The company needs another factory and the plan is to build it in China. That could cost a billion or two. Presumably, Tesla will fund some future expansion with borrowing, as most traditional automakers do. But additional investment funding from private sources would eliminate considerable scrutiny and put an end to the longs vs. shorts circus that has lately dominated the debate. Current investors would be paid off nicely, and Tesla’s possible profits and predictable losses would no longer be a matter of public record. Musk has clearly been frustrated with Tesla’s status as a stock-market battleground. If he has the considerable funding in place to declare victory and move on, the company might be with us for a long time, indeed. And just for the record, although Musk doesn’t really consider himself a businessman, if this happens, it would be the deal of the century.